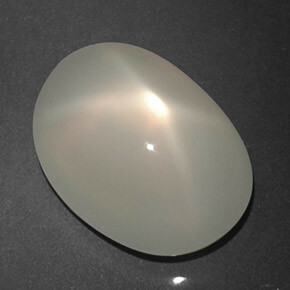 This is a very simple but elegant looking piece of jewellery that appears to be a plain gemstone with no clasp yet magically clings to any garment or suit of armour as a brooch of pale white moonstone. The brooch magically clasps onto the chosen garment and will not fall off unless touched by the hand that placed it there. If, at any time, the wearer wishes to use the power of the brooch (which has a single charge), the wearer must utter the word “SHINE” in their home language and the power of the item is released, destroying the item in the process. At the instigation of the bearer, a short ray shoots out at his chosen enemy and delivers a blast of divine light that causes damage against any living or undead creature, bypassing all Damage Reduction and Spell Resistance. Value: 300 GP Attack: +3 (Touch) Damage: (1d6 + 3) Range: 30’ Type: Ray, Special, Divine. One of these items was given to each of the surviving members of SCHMIDT HAPPENS by King Iorotas of the CITADEL OF A MILLION STARS as a sign of gratitude for them allowing him to take a pound of flesh from the LEVIATHAN before leaving his domain.